Les Lyonnaises didn't do things in half measures on Saturday afternoon against Pontarlier in the round of 64 of the Coupe de France, running out 18-0 winners. 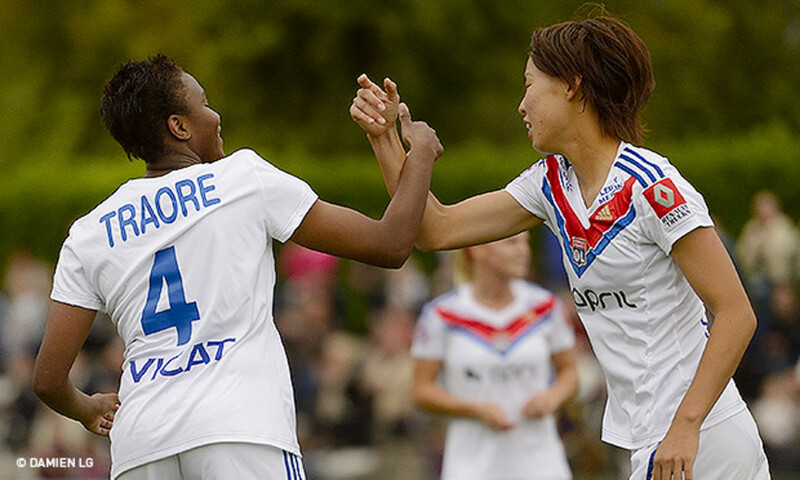 Twice defending champion, OL Women easily quaified for the Round of 32 of the Coupe de France on Saturday afternoon. On a frozen pitch at Pontarlier, against the local amateur side, Les Lyonnaises did the job. 9-0 at half-time, it finished 18-0, thanks to five goals from Lotta Schelin, and hat-tricks to Laëtitia Tonazzi and Saki Kumagai. And a big thank you to the volunteers at Pontarlier who cleared away the snow in time for kick-off. The draw for the Coupe de France Round of 32 will be held this Thursday, January 30 with the matches to be played on February 16. Peyraud-Magnin – Franco, Kumagai, Viguier, Renard (Dickenmann 46') – Perisset, Abily (Plaza 46'), Necib (Traore 46'), Majri – Tonazzi, Schelin. Abily (3', 45'), Tonazzi (5', 48', 67'), Schelin (8',21',26', 51', 62'), Franco (24', 42'), Perisset (31'), Kumagai (56', 71', 85'), Plaza (87'), Traore (88').